This entry was posted on September 27, 2013 by TemplatesMaster. On September 25 2013 Magento CE 1.8 got available to public users. I hope everyone is excited to find out what new features and fixes recent release brought to Magento community. Complete list of changes is available at release page. According to that information we can consider that release as cumulative bug-fix release. Major overhaul of tax calculation formulas, correction of rounding errors, and additional assistance with configuration. Upgraded Redis cache adapters for multi-server systems. Eliminated many types of database deadlocks. 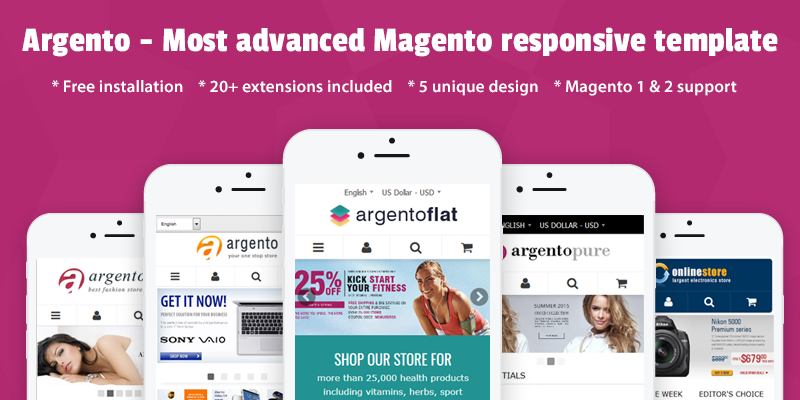 For last few days our support team already received huge number of of questions about using our products with Magento CE 1.8. Our testing team performed basic test and we were not able to locate any serious issue or conflict. So if you are interested either in Argento or Fire Checkout or any other product then you can use it on 1.8 without any problem. Within next 1-2 weeks we will release new version of our themes and extension that will also contain small improvements to code that were introduced in 1.8 version. If you faced any problem with our product then please contact us at our contact form. Any update with the release date to fix some minor issues on the Absolute theme yet?